This 'Dice' one was bought at a Family Dollar Store, for 5.99. We were checking out and it was in a display on the checkout counter, I could not help myself. The numbers on the sides are wrong,lol, there are two many sides with "six dots" on them. But I do not care. 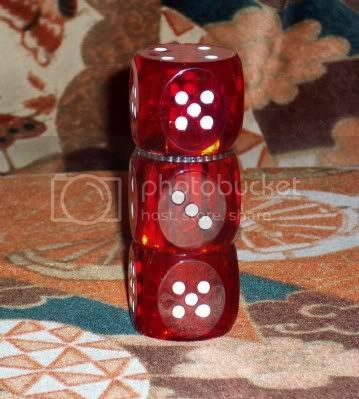 I want some white dice now.